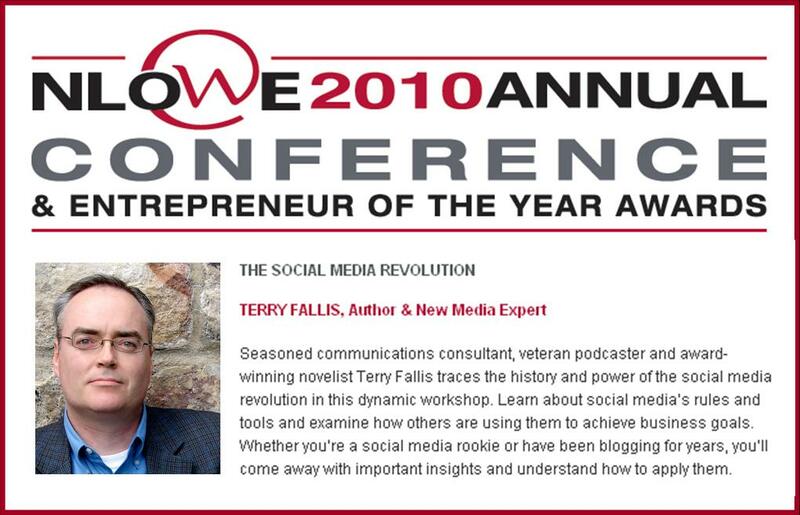 Later in April, I’ll be heading east to St. John’s to speak to the Newfoundland and Labrador Organization of Women Entrepreneurs about social media as part of their annual conference. My talk will likely lean more heavily on my day job in PR but I often use my writing odyssey as a social media case study of sorts, and may, in this instance, too. I’m hoping for beautiful weather. I’m now part of the roster of speakers available through Canada’s leading agency, Speakers’ Spotlight.Â One of their executives came to hear me talk about TBLP at the Women’s Canadian Club of Toronto a week or so ago and the invitation came shortly thereafter.Â I’m chuffed about it as they only take on a handful of new speakers each year, despite hundreds of requests for representation. They have an amazing array of famous and prominent speakers (and now I’m there as well representing the not so famous and prominent contingent! 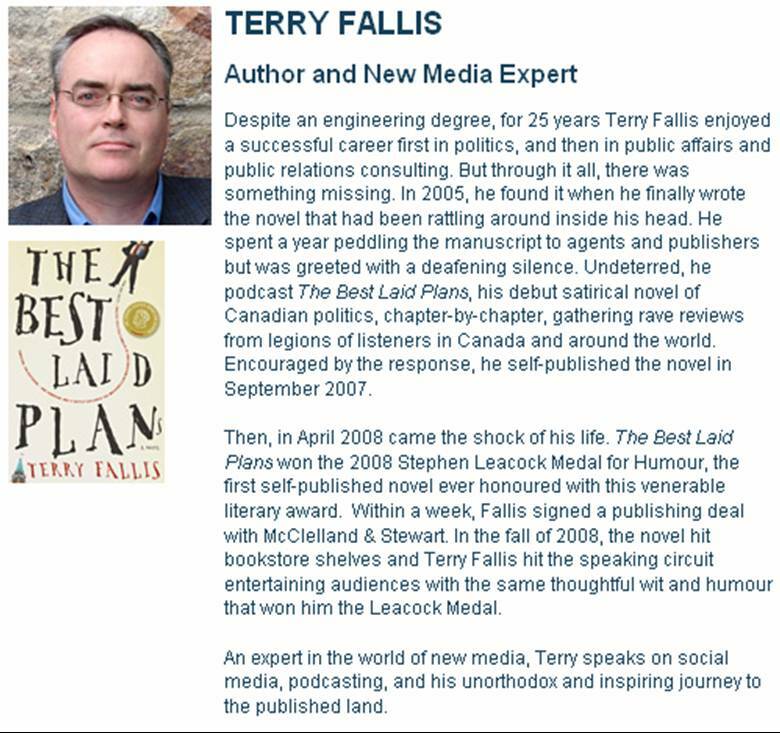 ).Â I’m available to speak not just about what I’ve taken to calling “my unorthodox journey to the published land,” but also about social media in general and podcasting in particular.Â Here’s the Speakers’ Spotlight profile they prepared for their website.